There are plenty of things to do in the East Coast&apos;s largest national forest. There&apos;s hiking, fishing, camping — and soon, fracking. A federal plan released Tuesday will allow fracking in George Washington National Forest, a 1.1 million-acre stretch of protected land in Virginia. It&apos;s a controversial move that has environmentalists and officials — including the state&apos;s governor — furious. "From a policy perspective, the Forest Service allows fracking on forest lands throughout the country," Robert Bonnie, U.S. Department of Agriculture undersecretary for natural resources and environment, told the Associated Press. "We didn&apos;t want to make a policy decision or change policy related to fracking. This decision is about where it&apos;s appropriate to do oil and gas leasing." The background: Fracking entails drilling holes in the ground, then pumping them with highly pressurized water and chemicals in order to fracture (or "frack") underground shale to release the natural gas inside. The U.S. Forest Service does allow commercial use of its land, including mining and logging, to a certain degree. 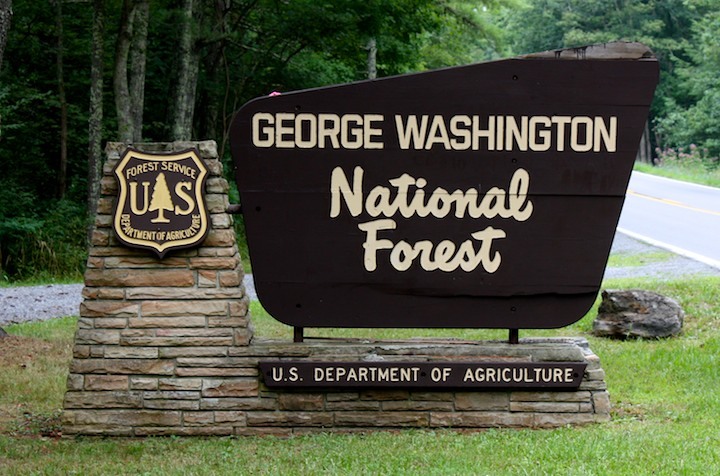 But George Washington National Forest, given its size and importance, was close to being treated differently — a 2011 plan would have banned fracking there. Companies like Halliburton, Chesapeake Energy and ConocoPhillips protested that plan, lobbying the federal government and Virginia officials to let them drill. The result was a sort of compromise that allows for drilling on just 177,000 acres, though half of the forest sits on a Marcellus shale formation that energy companies would love to access, according to the Associated Press. Virginia Gov. Terry McAuliffe (D) pledged in September that he would not allow fracking in George Washington National Forest as long as he was in office, but given that the land is federally controlled, there&apos;s only so much he can do to prevent it. Why is this bad? Environmental advocates have said that drilling could pollute nearby streams that completely provide water for 260,000 nearby residents and provide water for millions in the Washington, D.C. area. Furthermore, the equipment and infrastructure needed to drill could harm the park&apos;s recreational opportunities. Fracking is a hot-button environmental topic, with environmental scientists frequently squaring off against industry and political forces in favor of drilling for more fossil fuels. Critics of the practice point to evidence of increased earthquake activity and greenhouse gas emissions as well as groundwater contamination. To those who were excited at the prospect of a fracking ban three years ago, it&apos;s a major blow to see the government flip-flop. To the millions who rely on the land for recreation and drinking water, it could mean a natural resource with way more noise, traffic and pollution than ever before.